If you have any clothes or items that you want to sell, or you are a merchant that wants to expand online, you might want to read on. 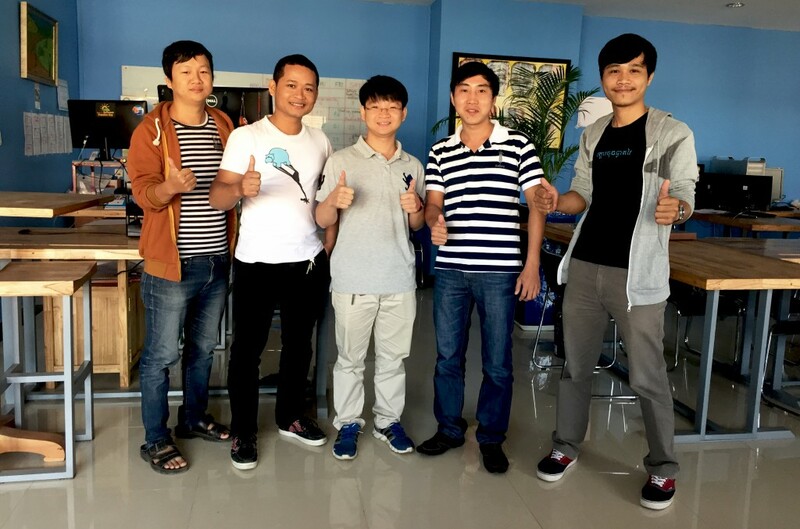 Geeks In Cambodia spoke with the team behind SnapyShop, a Startup Weekend project turned valuable startup. Explore how their startup works, why they did it and score some insightful advice on startups! Chamnap: I’m the software engineer. Mony: I’m the designer, and am in charge of the UX/UI. I make sure that the user finds it easy to use our product, and that it looks good. Soklei: I’m the business guy, in charge of marketing, finance, sales and human resource operations. Vorleak: I’m a software developer. Sarath: I’m in charge of the front-end development, and I work with marketing. Vorleak: SnapyShop is an online marketplace, where users can explore many products from different individuals and merchants. It allows buyers and sellers to connect. 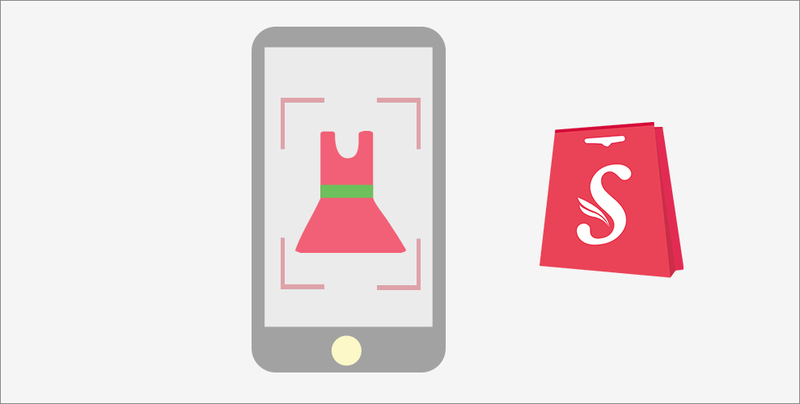 Soklei: Sellers can register and create their own store online, upload the image through our mobile app and then list their product on SnapyShop. As of now we have roughly 400 users. Why did you decide to start Snapyshop? When was it founded? Soklei: SnapyShop was founded in November last year. We found that there was no e-commerce or modern marketplace that fulfilled the people’s needs. Many people complain that the existing online marketplaces are not user-friendly. With 500,000 SMEs in Cambodia, only 34% are registered with the Ministry of Commerce. From our research, we found out that a lot of them have no idea how to do digital marketing and to promote their products online. Many want to find a simple platform to list their products, but they have no knowledge how to go about it. We want to help these SMEs grow and also fill a gap in the market. How can users pay for items? Vorleak: In the future we want to integrate payment methods such as PayPal and Wing. But right now, we want to improve on the back-end first. They can pay via cash on delivery. Chamnap: If the buyer indicates interest in the item, they can chat with the seller to negotiate and discuss. Vorleak: This feature is important as many online shops simply post their intention to sell on Instagram or Facebook. Following that, they have to go onto another platform to settle the payment, which causes the buyer to feel very disconnected from the seller. With more e-commerce platforms coming up, how do you stay competitive in the market? Soklei: We try to constantly improve out system and we have our own unique points. Chamnap: We have a unique feature for the e-shop owners, which allows them to launch their own website, and use the SnapyShop platform to sell their products. What were some of the challenges you faced when developing Snapyshop? Chamnap: We started SnapyShop with English, and they did not know we were a local startup. They thought we were from abroad. To them, it was hard to understand what SnapyShop meant. Right now we are fixing this problem and translating everything into Khmer, making it easier for people to understand. Soklei: So far we have gotten feedback from users, so we try to fix and localise SnapyShop, in order to get them familiar with the system. 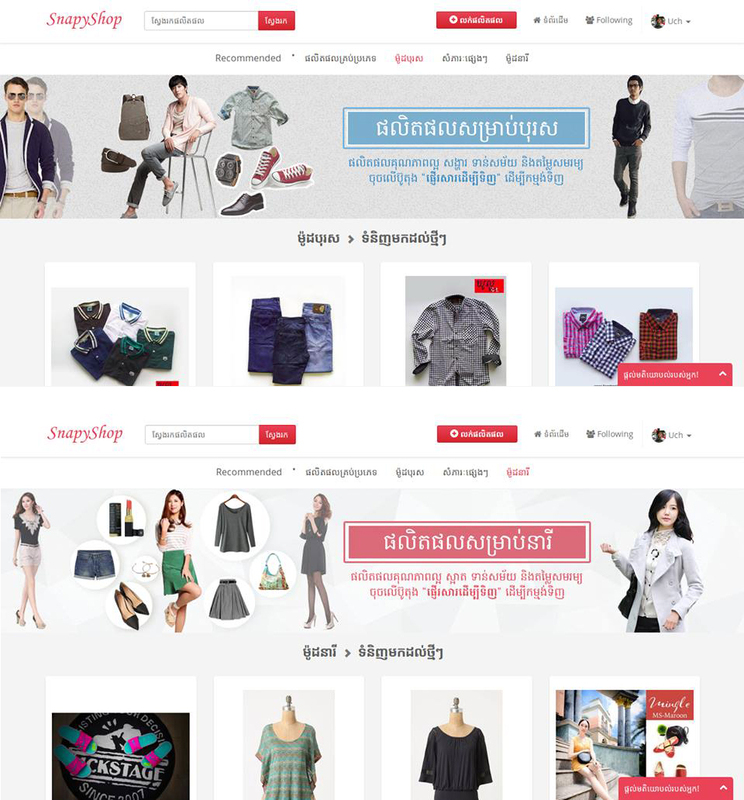 How do you think Snapyshop will change e-commerce in Cambodia? Soklei: Naturally the e-commerce system has a lot of benefits. You can save time, money, increase convenience. You can find things more easily and be more productive. It helps the merchant’s business as well. We plan to connect the local production to the overseas market, which will open more doors for the merchants here. Chamnap: SnapyShop also allows individuals to sell their unwanted goods to each other. It is fast and simple. What are your future plans for Snapyshop? Soklei: Our vision is to offer the best service for shops and buyers. We feel confident as we have a very strong team, and we are doing a lot of market research on new features as well as our competitors. In the e-commerce industry, it takes a lot of operations to educate people and get them familiar with the system. We aim to learn from big players who enter the market. What is your advice to aspiring startup founders? Vorleak: If they really want to have their own startup, they need to figure out what their best skill is. Mony: When you want to do a startup, you must understand clearly what your purpose is. Understand the local market and find out what they need. For us, we found that people want to use their mobile phones, to browse on the app instead of visiting the shops. We understood this market need and filled the gap. Soklei: From the business perspective, you should try to fix any existing problems in the society, to find a good solution. You have to do intense market research to understand whether this is a good industry to conduct a startup. If you pick the wrong industry, it might take a lot of time, due to the shortage in demand and such. Next, find a very capable team. You yourself has to possess management, leadership and interpersonal skills. Many teams who do not manage and communicate well end up breaking apart. Remember that your team is the most important asset especially in the tech and IT sector. In a startup, you have to commit very deeply, and you have to sacrifice a lot of time in order to focus. Chamnap: You need to ensure that the team works well with each idea. Put a lot of research into your idea and make sure that it is feasible and that it works. Sarath: You should build what people want. Take time and effort to learn what people need, find a team with the same passion and direction as you. Soklei: We want everyone to know that we will try our best and serve our customers well. We want to be modern, and help people conduct their business more conveniently, living live in a better way. Want to try out SnapyShop? Simply go onto SnapyShop.com now!